Up in the sky there is a giant emu. They have been there all along, in the calendar in the sky. 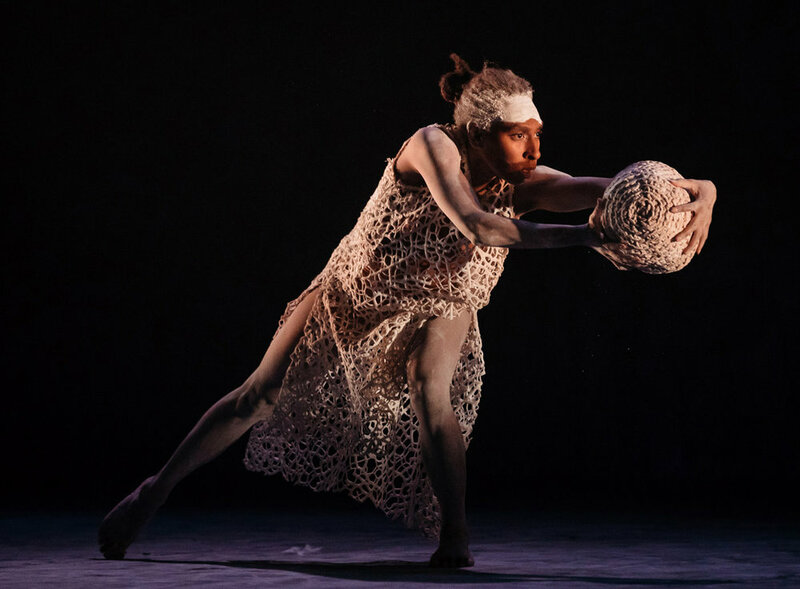 Above our heads, a creator spirit, their long form stretches in the dust clouds of the Milky Way from the Coalsack to beyond Scorpius.2And this is where Bangarra Dance Theatre’s Dark Emu begins. Looking up. Connected. Looking back. Connected. Looking forward. Connected. Like the emu detectable in the night sky, which has been there all along. Defined not by stars, but by the dark smudges in between. If this were a drawing, we’d say the emu was there in the negative space, in the background. And if this were a dance, which it is, we’d say this is where it begins, and, being cyclical, where it will pass by again as it continues its rotation. Reading the form mapped between the stars: a whole new world opens up before my eyes. Moreover, if this were life, which it most certainly is, we’d say, as expressed by Yolande Brown, one of the choreographers of Dark Emu, together with director Stephen Page, Daniel Riley, and the dancers of Bangarra, “these are stories, ideas and practices we should all be able to access, learn from and respect…. As Australians awaken from a kind of collective amnesia”, Dark Emu is the conversation we need to have, the story we need to be told, the relearning that needs to occur. “The Emu, as seen by the Kamilaroi and Euahlayi, changed in position from season to season, as the Milky Way containing the Emu changed position in the night sky. As the Emu changes position, it alters in appearance, and that appearance has connections to cultural and resource matters”. Once you’ve spotted the emu, the sky cannot look the same afterwards. And this, in many ways is true of Dark Emu: Aboriginal Australia and the birth of agriculture, the 2014 seminal book by Bruce Pascoe, and the recent work, Dark Emu by Bangarra: once you read the true history, things cannot look the same. Both book and dance expose the hunter-gather label of colonialisation for the myth it indeed is. Both illuminate how pre-colonial Aboriginal people interacted with the land, and the interconnectedness of all things. Where the former is a book recounting “the success and achievements of Aboriginal Australia”, the latter is the beating heart, and though both are stand-alone works, they should be experienced as one. Or rather, reading one inspires you to see the other, and vice versa.